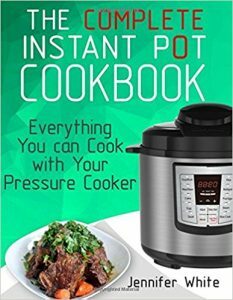 On Amazon right now you can get The Complete Instant Pot Cookbook: Everything You can Cook with Your Pressure Cooker for just $9.99! This would go great with that instant pot that was on sale today. Plus, if you are buying more than one book you can use coupon code GIFTBOOK17 to save $5 off a $20 book purchase. I love giving books as gifts so I will have no problem using this coupon.